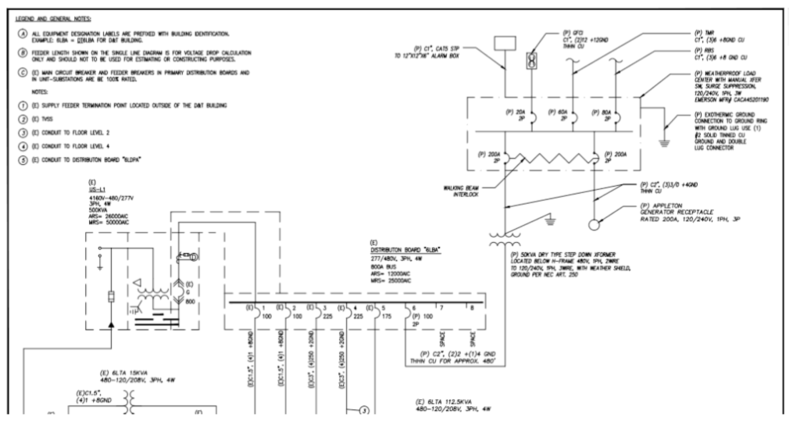 One must use two meters and provide 2 load study for panel and one upstream panel per OSHPD PIN 38. The upstream panel here is a substation US-L1 and the meter is built-in. As-built drawings for circuit DT5LBA checked.